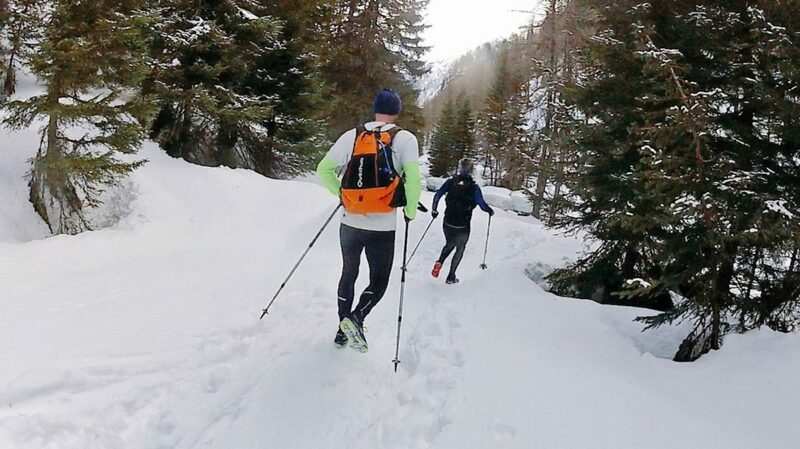 Just because it's winter doesn't mean you have to hang up your trail shoes in exchange for skis.​Trail runner Kingsley Jones trains year-round, and if you know what you’re doing the snowy Alps provide a perfect setting for a safe and enjoyable adventure. Just don’t tell everyone. The world record for most full marathons run on consecutive days is 365. Yes, that’s one a day for a whole year. 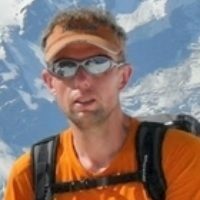 Belgian runner Stefaan Engels set this record in 2011, when he was aged 49. He wasn’t based in the Alps as it would be impossible to run every day in the year due to all the snow, wouldn’t it? Wrong. But please don’t tell too many people about it. 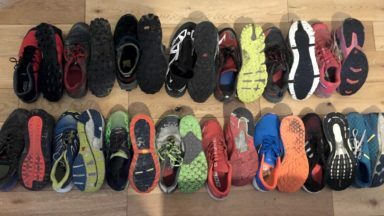 There’s a small, but growing contingent who don’t abandon their trail running shoes in the winter months in preference for ski or mountain boots. 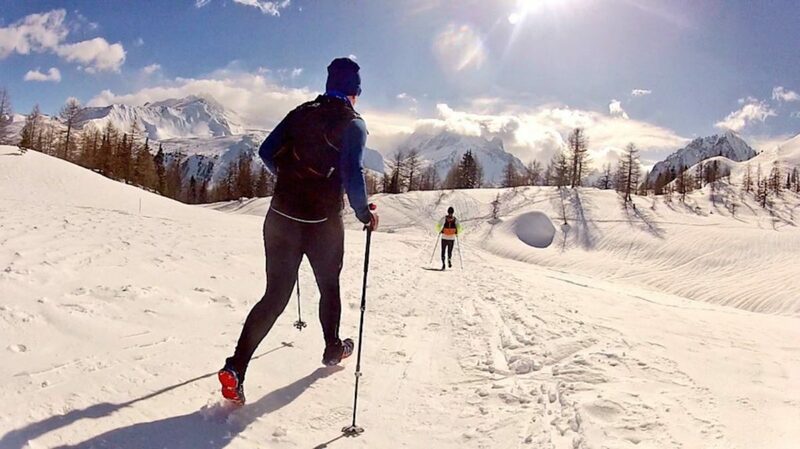 In the Alps, it’s perfectly possible to run 365 days a year, and while you don’t have to emulate Engels in distance, snow running is a brilliant adventure enjoyed by the very few. Of course it’s hard work, and on the surface of it, snow running sounds like an exhausting and insane idea. Let’s put it in context of the average trail runner who trains hard from spring to autumn, then lets their training tail off over the winter months, and is then faced with a seemingly insurmountable struggle to regain their fitness again the following year. 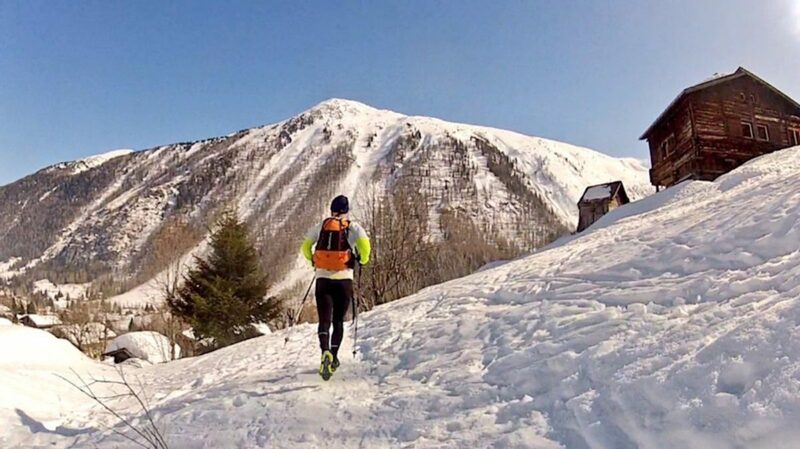 Wouldn’t it be great if you could manage to do trail running on the snow through the winter months, without being superhumanly fit, and maintain your fitness year-round? Well, the good news is that it’s possible, and you just need a few tips. 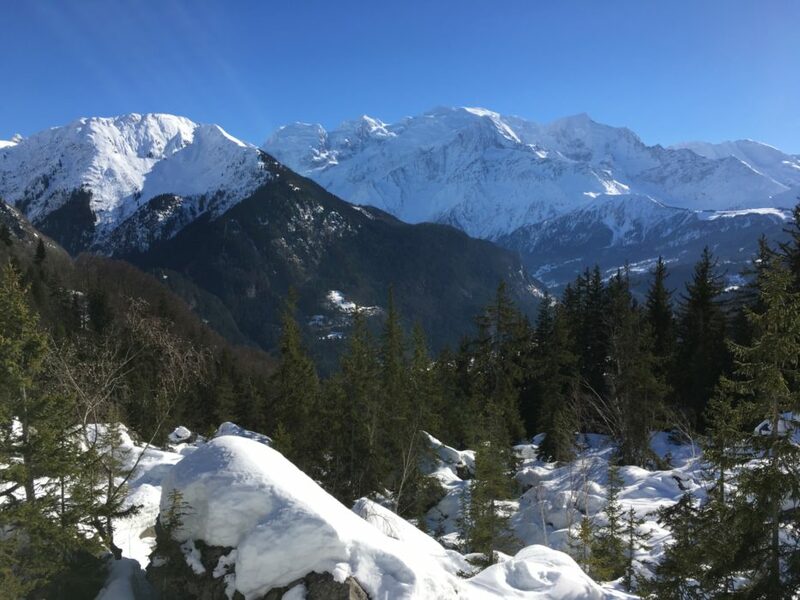 The Chamonix valley, at the foot of Mont Blanc, is within a 75-minute transfer from Geneva airport, so it’s an ideal location for a weekend getaway for winter trail running. What’s not to like about the idea; a weekend of great training, awe-inspiring views, and far from the mizzle and drizzle that the UK offers by the bucket load. But will you be wading through deep snow and in danger of being avalanched? Not if you’re canny. It’s all down to a little bit of research, and some careful planning. 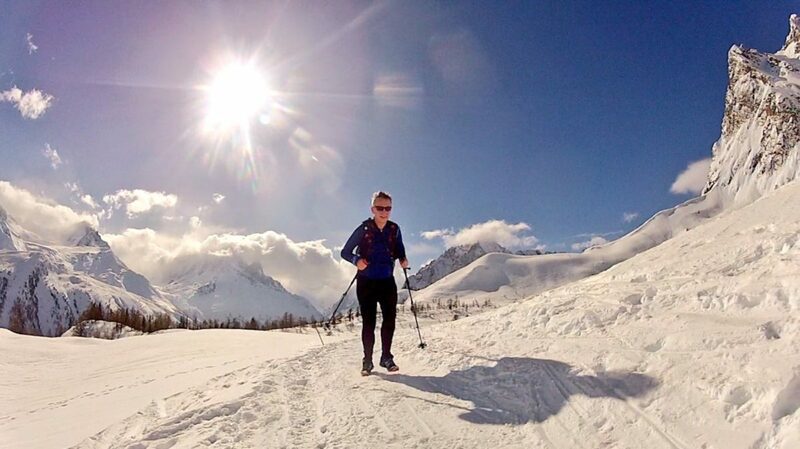 Apart from the Alpine views, the benefits of winter trail running are huge. 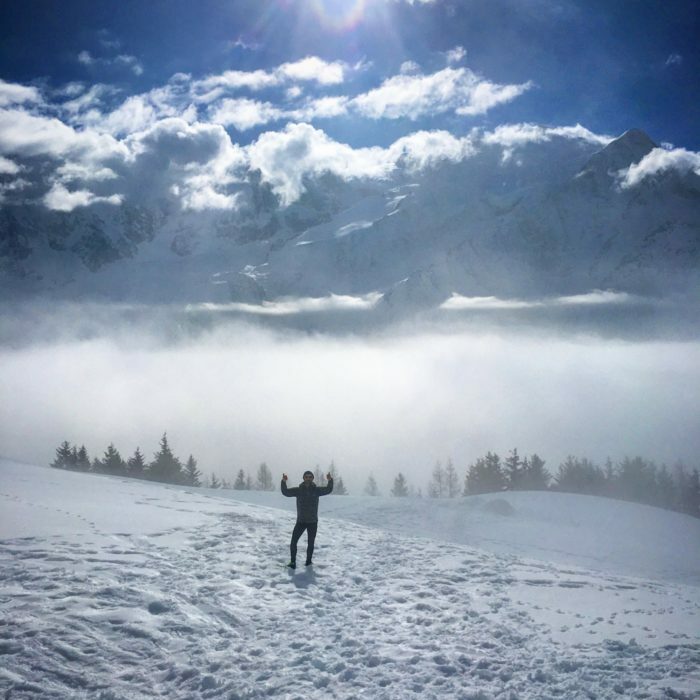 You get to maintain mountain fitness year-round, continue to cross train all the muscle groups, and running on snow is very low impact and far better for you than hard surface or road running. Safety is the key consideration, and there’s no avoiding avalanche risks. The first step is to check out the avalanche forecast and be brutally aware of your avalanche awareness skills. In the Chamonix valley, the forecast is available online, so you can identify key risky slopes and regions. Typically, there is less snow and therefore a lower risk of avalanche on south aspect slopes. Also, the snow is likely to be better transformed by the sun and be more compact to run on. Better still, you’ll be running in the sun, so it’s a win-win situation. 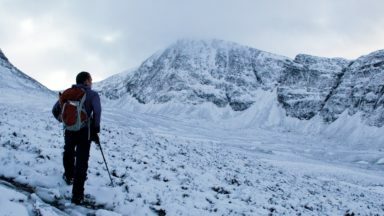 If the area you plan to run in could even be possibly affected by avalanche, you need to carry the essential safety kit of an avalanche transceiver, snow shovel and probe, and know how to use them. Don’t worry, these aren’t prohibitively heavy as you wear the transceiver in a cradle around your torso, and the lightweight shovel and probe are telescopic and fit easily in a running pack, such as the Salomon S-lab 12 vest. As a rule of thumb, the European avalanche scale is from 1 (low) to 5 (high) and it’s advisable to not run anywhere if the avalanche risk is 3 or above. Most natural avalanches occur within 24 hours of fresh snow, and natural terrain traps such as gullies are key places to avoid. Just stick to these basic rules of common sense and you are ready to go. The main advice is to follow existing and frequented trails. 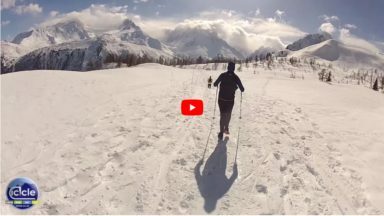 Take a look at snowshoeing and easy ski touring routes and you will discover that the Chamonix valley and its environs have hundreds of trails to choose from. The popular trails are well consolidated by the tracks of passing snowshoers and skiers, and make a great surface to run on. Even after fresh snow, you can run through powder, sinking in no further than the buried track below your feet. In other words, you can make it easier for yourself, and aren’t slogging through unconsolidated snowpacks. Before I raise the wrath of skiers, it’s considered poor etiquette to break through the trail creating a line of holes. I’ve seen some expletive-laden stickers saying something along the lines of ‘don’t boot pack the [something] skin track’! You’ve been warned, but be sensible. If you are wading up step by step, you aren’t running, so change your plans and keep the skiers happy. There’s plenty of more suitable mountain trails to explore. With the best will in the world, it’s rare to be able to run much above 2000m in the Alps in winter, as the tree line is generally at 1800m and the snowpack typically gets exponentially deeper as you ascend much further above. 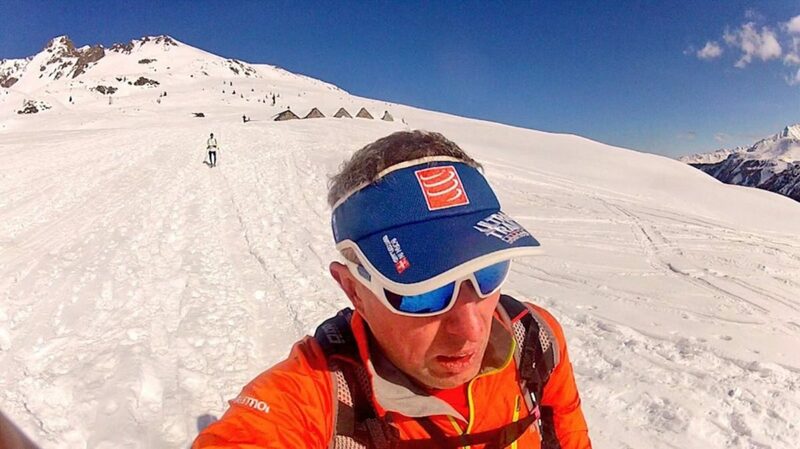 There are many mountain huts situated at around 2000m which make ideal objectives, and avalanches are very rare in dense larch forests, to make winter trail running is a sensible challenge, rather than a kamikaze outing and epic suffer-fest. The Alps has suffered from two years of poor snowfall, followed by this year, which has slightly bucked the trend. 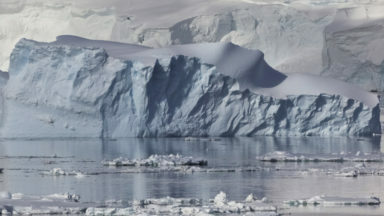 Headlines scream that it’s the snowfall of a generation, with snow depths unseen for 30 years in some areas of the Alps. You’d be forgiven for thinking that the snow this year would have put paid to winter trail running in the Alps, but you’d be wrong. Sure, there have been a few major snow storms that shut down all physical activity in the mountains for a few days, but there have been good consolidation periods between each storm, and the winter running this year has been excellent. I’ve totalled more winter trail days than ever this season, and in terms of guiding have, for the first time ever, guided more days’ winter trail running than snowshoeing. This week the avalanche risk was 4/5 on Sunday, with several people sadly caught in slides. I nearly cancelled my plans for running on Monday, but with the forecast risk being quickly lowered to 3/5 above 2300m, and 2/5 below that, I decided to wake up early to make a final decision. I wasn’t optimistic, and the accidents over the weekend played heavily on my mind, but when the alarm went off at 6am, I looked outside the chalet and saw a beautiful dawn sky, with hardly a cloud in sight. Even the forecast had been more pessimistic, so I grabbed my running kit and headed out. Who’s crazy? I drove to Megève, and up towards the road head, at the evocatively named ‘Ball-Trap’, at just over 1400m. Here the road suddenly ends. Well, it doesn’t, but the snow ploughs give up here, and after a huge mound of snow the trail continues, starting over the snow-covered road. After a few minutes’ running on compact snow, you cross a ski piste and then follow up the edge of another ski run for the next five minutes or so. I loved the bemused looks of skiers as I ran uphill past them. They clearly thought I was mad. If only they knew. 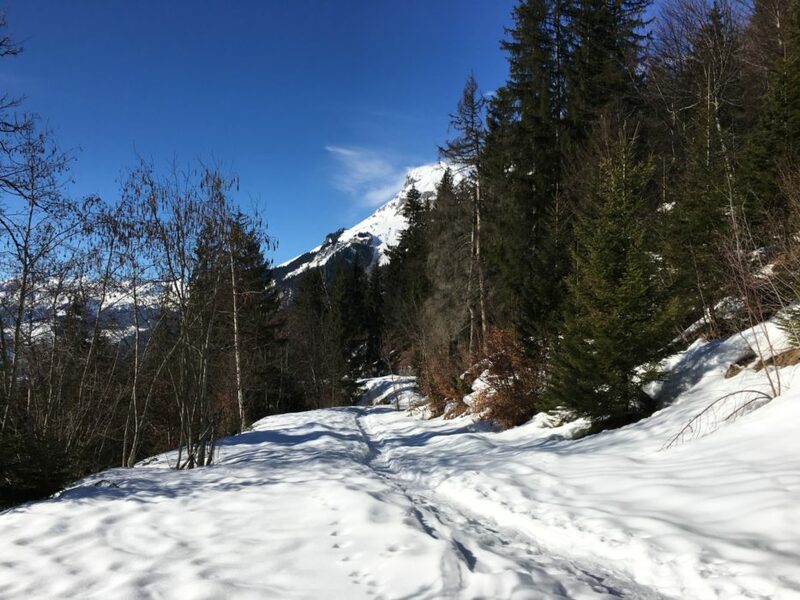 Soon I turned off the piste and onto a single-track trail that led upwards towards Col du Jaillet. I was alone, away from the scraping and swishing of the crowds of skiers. I had the mountains to myself. Who was the mad one, eh? As I gained altitude, I marvelled at the hoar frost crystals twinkling on the surface of the snow, the sun rising behind the trees, the crunch of each step and the rhythmical sound of my deep breathing. It was a sensory overload. This was true mindfulness, with no need for meditation or gimmicks. I could focus only on the moment, and my mind is still revelling in that time several days later. If you need any validation of the mental, let alone physical, benefits of this day out, this would be it. Ahead of me the trees started to thin out, then suddenly stopped, and I could see my objective for the day directly ahead of me: the corniced summit ridge of Petit Croisse Baulet (2009m). 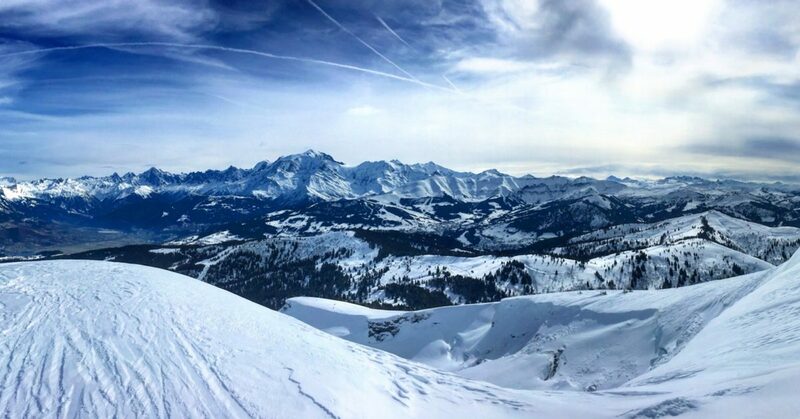 As I stopped for a second to take a quick drink, I turned around and took in the view of the breath-taking panorama of the whole of Mont Blanc behind me. It stretched from the Rochers de Fiz, through the Aiguilles Rouges to the Aiguille Verte and Les Drus, then the Midi and Trois Mont Blanc peaks, up to the glistening summit of Mont Blanc itself, followed by the Franco-Italian border peaks towards Gran Paradiso. I drank in the view for a moment, then turned on my heel and pushed on upwards. I could tell that I was reaching the altitude limit for winter running, as every 10th step or so my shoes sunk knee deep into the snow. I breathed hard and felt a rewarding burn in my muscles, then as I rounded a corner the snow became firmer under my feet, due to being wind scoured over the ridge line. I veered left away from the cornice fracture lines, and pushed on for the last 100 metres of height gain to suddenly reach a ridge crest, and to see the summit signpost directly ahead of me. Wearing running kit, I wasn’t going to hang around too long on the top, but a couple of minutes was sufficient reward for my efforts. As I set off down, I passed a group of skiers who were skinning upwards towards me and they offered congratulations as I passed them for achieving their goal on foot. I changed my stride and built up the speed, my shoes giving good grip on the snow. Soon the tree line was reached again and I plunged through the dappled light of the forest and down the trail I had run up earlier. The momentum grew and I lengthened my stride, picking up speed. As I reached the ski pistes again, this time I was running in the same direction as the skiers, and took solace that I managed to overtake a skier on my way down, earning me a disgusted look. Once back at my car, I pulled on a warm jacket and started the drive back home, my brain filled with a happy a kaleidoscope of images of the amazing past hours. Why push the safety margins and spoil a perfect day? I’m glad I made that last-minute choice. In the back of my mind, my primary objective had been to continue to the Grand Croisse Baulet, another 300m higher. Subconsciously I’d decided before leaving the tree line that I would stop at the smaller summit of Petit Croisse Baulet, due to the amount of snow. It was the right decision, but for the wrong season. At my summit, the wind had scoured the snow, so that it had an icy surface. It wasn’t snow that would have stopped me continuing, but the danger of a fall on a hard, icy slope. 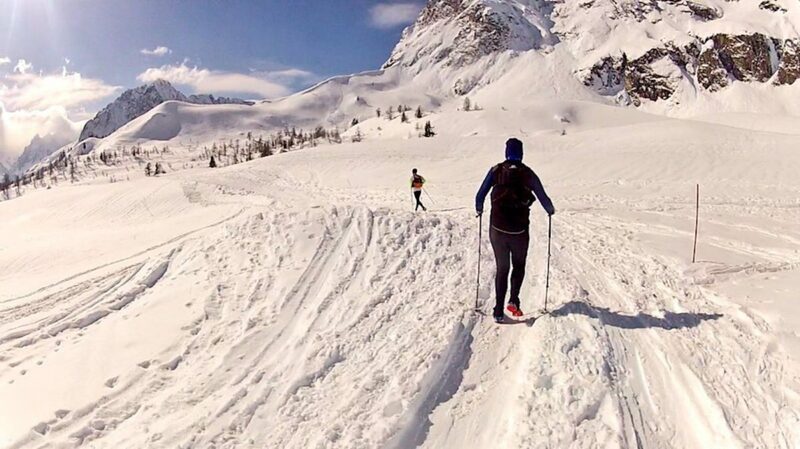 Skiers were continuing with couteau (ski crampons), to give them traction. For sure, I could have put on running crampons, but why push the safety margins and spoil a perfect day? 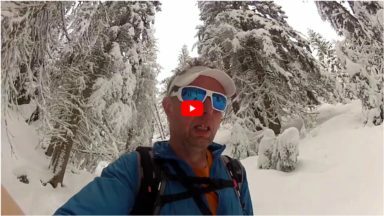 That’s the whole point with Alpine winter trail running; you need to change your plans constantly and not be afraid to adapt to the conditions. Hopefully by now you’ve been inspired to give winter trail running a go, but apart from the avalanche kit I’ve previously mentioned, what extra clothing do you need, compared with going on a normal run in the winter months in the UK? None. Yes, you read that correctly, absolutely none. The air is drier in the Alps than the UK, so you tend not to get as cold, even at altitude. Running in tights and a base layer with running jacket is generally enough. A thin hat or cap and running gloves, as well as a spare emergency layer, is sufficient. For the mountains, you take a map and compass, sunscreen, a basic first aid kit, survival blanket, head torch and phone. All this can easily fit in a 10-litre running pack. It’s always worth taking a thing waterproof jacket and trousers in case you slow down or the weather changes. 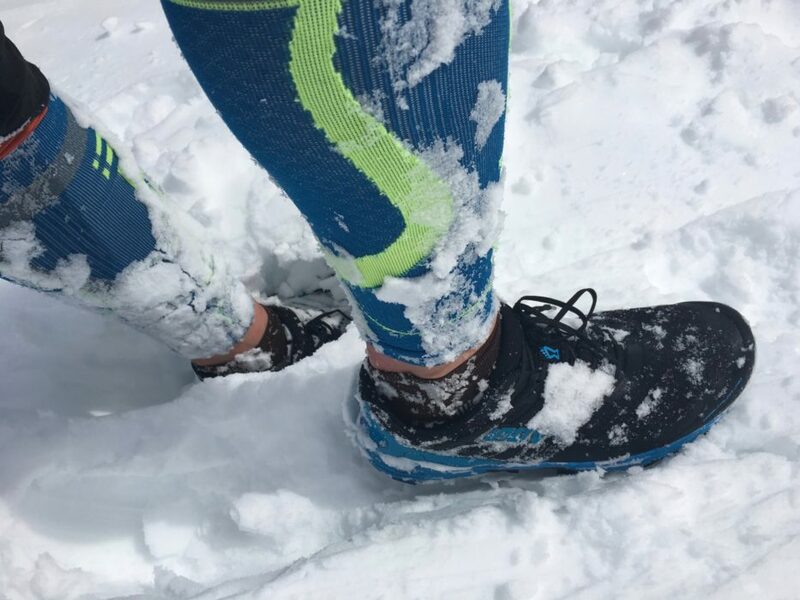 Your normal trail running shoes will be fine, and the cleats provide good traction on the snow. There are many running crampons available, such as those from Kahtoola, Camp and Nortec, but my preference is to keep those for an emergency and to rely on my running poles for added balance. In my view, if I need crampons I need to change my plans. Aside of the avalanche kit, there’s nothing in my pack that I wouldn’t take on a day’s winter fell running in the Lake District, and generally the weather is far better! The same advice applies, in that you should always tell someone where you are running and have the mountain rescue number saved in your phone. Before I forget, the number for Chamonix mountain rescue (PGHM) is 0033 4 50 53 16 89, but if you are running on the Italian side of Mont Blanc it is 118, or in Switzerland it is 144 or REGA on 1414. If you’ve been on a ski holiday, you know how overpriced and generally rubbish the food and drinks are in cafés on the piste. The winter trail runner is rewarded with great food in mountain huts and it is reasonably priced, too. My top tips are to head to Rifugio Bonatti above the Italian Val Ferret for its hot chocolate, the hotel La Vachey for its polenta, or to the Refuge de Loriaz above Vallorcine in France for great coffee and cake. 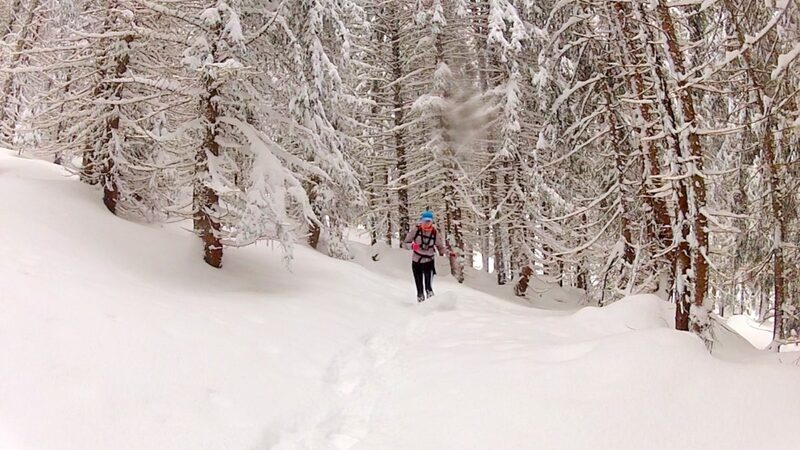 Well, if that’s not enough to tempt you to try winter trail running, I never will. So I think that’s enough of my secrets shared. 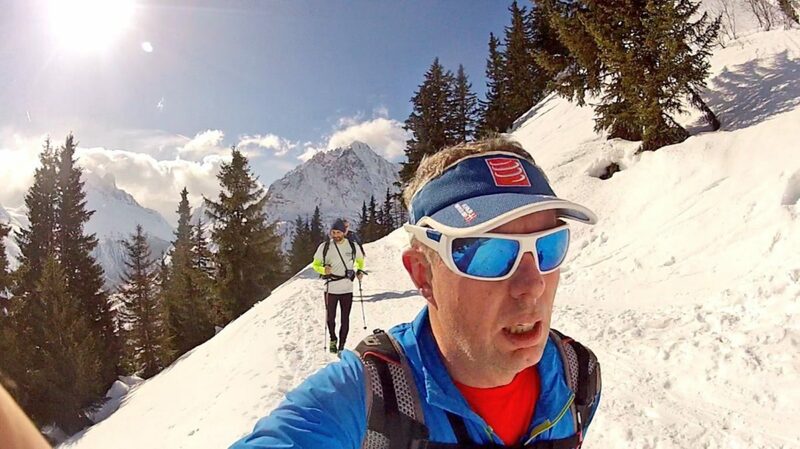 Alpine winter trail running is a growing facet of a sport that has grown stratospherically. 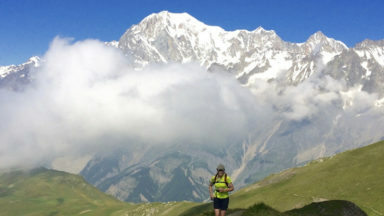 We’ve all seen the footage of Kilian Jornet running down the snowy slopes of Mont Blanc. While that level of challenge may not be safe, apart from for a very few experts, winter trail running gives us a brilliant insight into this fascinating world. 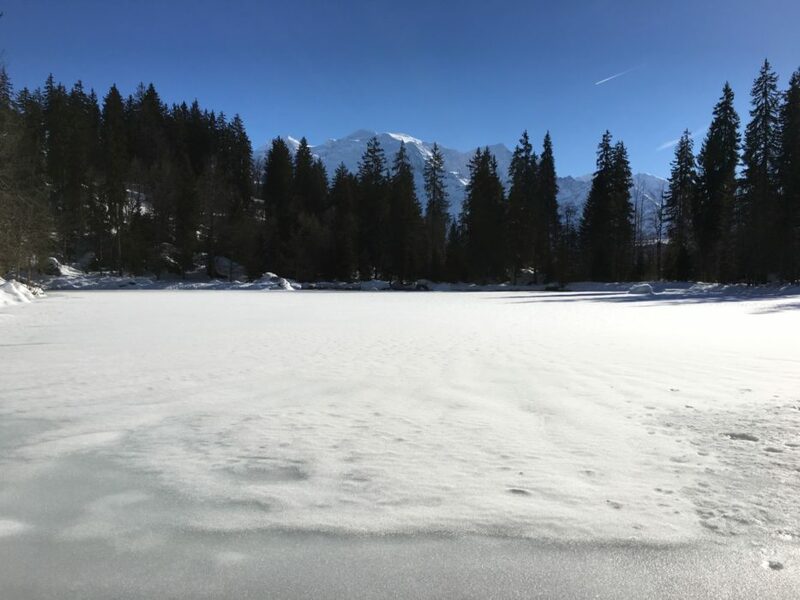 When there’s a choice of a structured training session on the ‘dreadmill’, or running in fantastic Alpine scenery in the fresh air, I know where I’d rather be. See you running in the snow!